To Coincide with FAMOUS AUDIO’S FREE DOWNLOAD SAMPLER – we have caught up with label bosses UTKU S & DUNYA to find out what is going down at the label HQ for 2014, and to discuss the journey so far with Famous Audio. 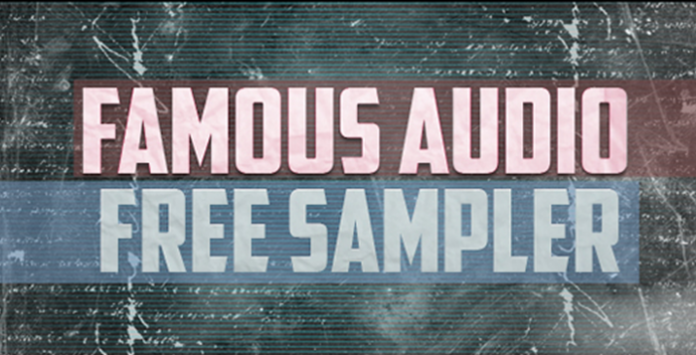 Along with their Famous Audio FREE sample collection they are also offering a 20% discount across all their Famous Audio products until the end of May 2014. Tell us a little about your sample imprint label ‘Famous Audio’, and why you decided to set it up? Following the successful story of “Freaky Loops”, we decided to launch “Famous Audio” aiming to further provide highest quality and most inspiring samples with this new label. Do you think Famous Audio is a more genre specific label, as it falls under your already established Freaky Loops Label, or do you try to offer packs across the board for a different set of users? At present, we mainly focus on EDM style as Freaky Loops. Of course, things may change by time. We may offer packs for different users with the condition to keep the same quality. For fans of your Freaky Loops label which so far has covered genres from Swedish House, Complextro, Tech House, Dubstep and Electro, what can we expect from Famous Audio that is not available through Freaky loops? Some people feel that sample packs are ‘cheating’, what are your thoughts on this as a sample label production team? Do you see Famous Audio having a core audience of producers – if so, what type of producers do you see using your samples? Famous Audio was only established in early 2013, but we believe it will certainly follow Freaky Loops. I know many producers use Freaky Loops’ samples and also many successful tracks have our samples in them. Producers including Chuckie, Lazy Rich, Zeds Dead, Mellefresh, Antoine Clamaran, Ftampa, Electric Soulside etc. We hope for the same or even more from Famous Audio. With the amount of sample labels launching these days what makes Famous Audio stand out from the crowd – what is the unique strength of this label…its artist rosta, special guests, production techniques – or all of these? We are creating a unique sound in each and every sample pack. We know very well what producers are looking for, what is the style of now also near future and how to present our sample packs the best way. From your own productions how do you think modern software compares to original hardware in your EDM productions – Do you have any favourite bits of ‘go to’ gear? We like to use both, but mostly software. Some analogue gear may have very special sound that you cannot get it with any software. We have bunch of synths that we love; Virus TI-Snow, Roland SH-101, Roland VSynth, Clavia Nordlead III..
What has been the reception so far for Famous Audio? So far so good…It follows the same trend with Freaky Loops, this was the aim and it seems it will be achieved. What formats are your packs available in? 24 Bit Wav, Midi also Presets for software synths. What quality checks do you undergo before you know a sample pack is ready for release on your label? The most important thing is audio quality also content, tempo and key labeling for usability. We use our own techniques to assess if these are within my standards. Last but not least, the demo needs to be very detailed and presented the best way. Do you have any more packs lined up soon to be released with Loopmasters – if so spill the beans!? We have just released “Discostep Vol 2” and we are working on “Big Bad Trap Vol 2”, “Big Bad Kicks Vol 3” also, work hard at producing NI Massive sound sets that represent the hottest current trends in Dubstep and Electro House. We are always working on fresh materials and we will be continuing to bring through lots of exciting sample packs in near future. Visit Famous Audio on Loopmasters here.